The Shift Network empowers a global movement of people who are creating an evolutionary shift of consciousness that in turn leads to a more enlightened society, one built on principles of peace, sustainability, health, and prosperity. Stephan Dinian, author of Sacred America, Sacred World: Fulfilling Our MIssion in Service to All founded the Shift Network many years ago. They offer a wonderful selection of online courses in every imaginable topic which support their mission. I will paste their mission below. “We aim to create a sustainable, peaceful, healthy and prosperous world — what we sometimes call heaven on earth for shorthand. “We hold a vision where, not only are everyone’s basic needs met while living in peace, but the very best in all of us is expressed and humanity’s full creative potential is set free. “This is a world in which we know we are one sacred family and are united in our divinity, while celebrating our diversity. “Undeniably, there are immense challenges on the road to this ‘better’ world and as Albert Einstein famously said, “You can never solve a problem on the level on which it was created”. Supporting people to unlock their full potential through transformative education and media. Inspiring everyone to bring their unique gifts to the world and create real, tangible change. Celebrating and spreading the most effective and innovative ideas and practices that are transforming the way we live. Sharing openly about our own efforts in social change via lobbying, activism, philanthropy and more. Connecting global citizens who are called to create a better world into a network of millions around the planet. “Our intention is to share the very best in personal and societal transformation, so that together, step by step, we’re shifting the way we do things on this planet and creating a beautiful world that works for all. “We call ourselves the Shift Network because it will take millions of connected, activated, inspired citizens to enact the changes that are possible. A network of inspired hearts, awakened minds, and dedicated souls. 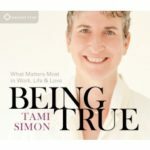 “This is what we’re creating and we’re well on our way, having served over 800,000 people worldwide with customers in 150 countries and having featured over 1,000 thought leaders in domains as diverse as spirituality, peace, holistic health, psychology, parenting, enlightened business, indigenous wisdom, and sustainability. “We’re committed to shifting our world, sober about the challenges that lie ahead, and inspired by what is possible. “And of course, we’re so very grateful for your partnership in this important work. I will give you some of my background, although the intense transitions of the last few years have left me feeling like a new person. Hmm, I wrote that sentence two years ago, and it is still true today. I was born in 1967 and was a very sensitive, intellectual and dreamy child. I was always consumed by questions like, “Where did I come from?””Why am I here?” “Where am I going?” so of course, embedded as I was in a culture that sees science and reason as the source of truth, I tried to “figure out” the answers. I graduated from Yale University with a degree in Mathematics and Philosophy, but my development of reason and intellect brought me no closer to any truth I really cared about. I didn’t know what I was searching for, but I knew that none of the usual options life presents a Yale graduate attracted me. I went to Taiwan, learned Chinese, and soon found myself working as a translator. I spent most of my 20s there, educating myself broadly (though not at all rigorously – it was more through osmosis) in Eastern spiritual traditions. I also read voraciously: books on health, nutrition, globalization, physics, and biology. Translation led to other business opportunities, and I became familiar with this dimension of the human experience. In Taiwan, I met my dear friend and ex-wife Patsy, with whom I have three children, all boys. In my late 20s I entered what was to be a long period of intensifying crisis. It started when all my professional work became intolerable. It became excruciating to do work I didn’t care about. Even though a million reasons told me why it was irresponsible, impractical, and foolish to quit, I eventually could not make myself do it anymore. An irrepressible feeling, “I am not here to be doing this!” took control of my life. So I entered a long period of searching. I spent time teaching yoga, learning about herbs, and teaching at Penn State’s department of Science, Technology, and Society. All of these endeavors have contributed to my present and future, but none were really me. The next five years were much like a birthing process. The old world dissolved, and the contractions birthing me into the new took the form of a collapse of all that I once held onto. Crises in health, marriage, and money forced me to let go of a “life under control.” In my helplessness, I accepted help, discovering a generous universe that has always met my needs, somehow, in unexpected ways. I have never made much money, but I have become rich in connections to other people. Friends and strangers from all over the world write to tell me how my books have affected them; they sustain my faith and nourish my passion for my work. In addition to writing books and essays, I have been doing a tremendous amount of public speaking. Sometimes, especially when I am tired from traveling, I wonder if the world needs yet another man performing “speaker up in front of an audience.” Why not stay at home and use technology? But I find that something happens in person that is irreplaceable. For one thing, at live events I can see the expressions on people’s faces, and I respond to that in real-time, engaging in a sort of dialog. Secondly, my speaking is not just about conveying ideas. Something else rides the vehicle of the words, even if the topic is something mundane like steady-state economics. I sometimes describe my experience as a speaker as being plugged into a field that is not my creation, but is generated by the audience and by something beyond the audience. Besides, I find that my thinking stagnates and my heart atrophies when I am in front of my computer too much. I need to interact with real people, face to face. That’s why I travel and speak. On the other hand, I am increasingly drawn to developing the non-verbal, embodied gifts that I’ve neglected. Like many people, I have a feeling that there is a Next Step about to happen, in my work and beyond. I don’t know what it is, but I do know its revelation will come through transforming experiences that reveal and heal things I was blind to. My work, my play, my family, my deep soul connections, my wholeness, my wounds… all of these are bound up together, evolving as one. I am now remarried as of 2011 and have a baby, my fourth son, Cary, with my wife Stella. Besides mothering, Stella practices Chinese Medicine and other healing modalities. The two teenagers, Jimi and Matthew live with us too; the 9-year-old Philip only sometimes. My favorite moments are watching Jimi and Matthew play “pass the baby” with Cary, who thinks it is the funnest game in the world. Of course we have our challenges and I have occasional moments of seeing my whole life as a father as a collision-course of errors, but overall I feel extremely lucky to have such amazing, sensitive, talented, kind children. Lately people sometimes treat me like a celebrity, which makes me feel uncomfortable, because I know I am just me. On the other hand, it has become impossible to answer every email and say yes to every offer to interact. I have to turn down most offers to speak, travel, write blurbs for books, and so on. Also the attention focused on me can get overwhelming. I understand why real celebrities need to insulate themselves. Even receiving appreciation can be too much to handle sometimes, although it has sustained me too through periods of setbacks and doubt. I do my best to stay accessible and answer as many contacts as possible. I can’t really tell you my plans for the future; it all depends on what is revealed to me in the next phase of my personal exploration. Besides, the world is approaching a state of flux that could easily render most plans irrelevant. I will continue writing and speaking for at least another year or two. My main interest now is in exploring the boundaries of what is “possible” according to our received beliefs, received habits, received technologies, and received ways of knowing. For humanity to take that Next Step, we are going to have to violate what is politically practical, socially practical, and even technologically practical. The same holds on the personal and relational level. I have caught glimpses of the impossible in all these realms and I am excited about what lies ahead. Called by Love Institute is a new organization in 2016-17. It has been established to support our collective evolution in consciousness, coming from the Christian perspective within the Unity Church. It has particularly grown from the life experience of Marj Britt and her Unity Church community in Tustin California, where Marj minister for many years. Before joining the ministry she was deeply immersed in a career in public education. It will be exciting to see this new organization grow to fulfill its wonderful mission combining a deeply spiritual viewpoint with educational expertise. The educational programs they will be offering spring from the Christian tradition, but they will definitely be on the most open minded and freethinking end of the Christian spectrum we see in the world today. Called By Love Institute supports an evolution in consciousness and a Vastness in understanding creation. It’s an exploration of God as Love, seeing Love in All, and responses to being Called By Love. Join our Worldwide Campus of Consciousness and help create a Field of Abundance that sustains and benefits us all. Living, Loving, Legacy brings you together with some of the most significant explorers of the maps of consciousness on the planet, people who have devoted their lives to their own transformation and that of the world. They will model for you how to manifest these qualities in your own life. Coeo – “The Geo-Social Network for Conscious Changemakers” is a huge directory and community building project by Matt Dowle. 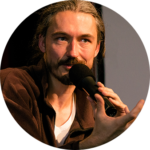 Matt is a software engineer who knows his stuff and is potentially building a very important platform for bringing together a MUCH wider range of builders of the new earth that this website would ever be capable of. If you join his community you can chat with other community members, medite with others, post projects to like minded people and scope out the wide range of good works that are happening all over the world. Coeo Radio – The response to this proposal has been overwhelmingly positive and we are working to make Coeo Radio a reality. Over 20 members have expressed an interest in hosting a regular show. If you are one of these people we will be in touch with you soon. The New Earth Directory – As part of the ongoing development of the Coeo Graph (along with the Coeo API), I have been developing a new website focused specifically on enabling the co-creation of the most comprehensive, open-source data repository of individuals, organizations and projects working for a better future. You will soon be invited to participate in the co-creation of this ground-breaking database. Funding – An opportunity has been presented to me which I believe may provide a solution to the ongoing challenge of funding Coeo. This proposal would not only help to secure the future of Coeo, but could also present an opportunity for you, the members of Coeo, to benefit and potentially gain the financial freedom needed to follow your passions. I’m currently considering this opportunity carefully. If, on reflection, I feel it resonates ethically and morally, I will send out a specific email about this in due course. Relationships – The development of our unique relationship software continues in collaboration with the behavioral experts Hillcroft House. Collaborations and Cutting-Edge Technology – I have spent many hours over the past couple of months speaking with a growing number of organizations and individuals who have expressed an interest in collaborating with Coeo. Amongst them, groups working at the cutting edge of decentralized web technology (holochain), and others developing innovative legal approaches, to those exploring new economic and organisational models for society. This is a time of collective initiation. Conscious elders, startled into a shocking new historical era, now face profound and unexpected tasks, gifts and responsibilities. This is not our old familiar world and we cannot go back. But this horizon holds the potential for a psychological and spiritual renewal unprecedented in human history, one that will produce a quantum leap forward if we participate meaningfully. As Howard Thurman advised, “Don’t ask yourself what the world needs, ask yourself what makes you come alive and go do that, because what the world needs is people who have come alive!” This is a time for discerning what makes us come alive and then doing it! In depth psychology, the shadow, trickster, or devil archetype often unleashes huge transformational energies. In many respects, Trump represents our collective shadow – all the repressed, censored, dark, eruptive energies we have buried inside. But as Jung told us, the shadow is 90% gold! Jeremy Taylor, a teacher of Jung and dreams, recently wrote, “…the ‘hidden gift’ in the colossal projected shadow of Donald Trump is potentially granting us all ‘permission’ to explore and manifest our deepest creative energies and responses to the world.” Trump may be the unwitting precursor of an enormous change in the collective psyche. As Philosopher Grant Maxwell observes in his new book, The Dynamics of Transformation, the evolution of genuinely new ideas and forms is typically unpredictable, disruptive, and shocking. He also suggests that some great and as yet unknown archetype may now be constellating in the depths of the human psyche. In other words, this disruption may be opening a new chapter in the history of democracy and civilization, unconsciously inviting us all to participate in a more vital, creative and engaged citizenship. Something deeper is at work here, a new expression of the human enterprise and a new worldview. If conscious elders are going to light a path through the darkness of this time, we need to understand where we are and how we can respond most maturely. In the psychological dimension, we need to stay together and work through our feelings rather than react blindly, collapse in despair, or drop out. And we need to realize that anything we feel deeply holds the potential for transformation, releasing new energies and creative insights for positive action. Crises bring us back to the liberating reality of the present. I remember an old friend of mine telling me about the day her house burned down. She suddenly found herself feeling incredibly free, free to create a new life, to release the shackles of her old identity and pursue a new adventure. In the spiritual dimension, we need to ask ourselves bigger questions and about the meaning and purpose of this time. For example, “What are my ultimate spiritual beliefs about why this is happening?” “How would my personal spiritual heroes respond to this situation?” And “Where is God in this upheaval?” And we need to return to our spiritual practices to stay centered and grounded. Last, but not least, we need to call upon the mystical dimension, spending time in the Presence and letting its nature and consciousness expand our awareness and response capabilities. We are so much more than we think. We need to pray and ask for divine guidance. This awakening to the divine dimension in aging is not about escape from our obligations to the world—but a powerful shift to a new level of engagement. If we wish to transform our current human crisis, we must return to the mystical consciousness of a divine being in a divine world, an experience that becomes increasingly available in sacred aging. To me, as a mystic, in this moment of awakening, it feels as if I touch the infinite surface of Being, which I envision as the smooth, rubber-like surface tension of a vast black lake. I am convinced that touching this surface sends vibrations throughout the whole cosmos, like pounding a huge drumhead sending oscillating waves across Creation. I can actually feel myself striking this great drum with both hands – boom, boom, boom – and sending powerful undulations of love, meaning and possibility through the immensity of time, reality and consciousness. Like the surprise experienced by my friend when she lost her house, what is being evoked in us is likely to be something much larger and more creative than we would have imagined. Indeed, it may be the doorway to the next state of human consciousness. This is a time to deepen our awareness of eternal values, recognize the world as Self, join others, and then act from the deep oneness of Being. Everything we’ve ever done in our lives has led us to this moment. And together, we call on everything we are to pound our drums as one great loving force. As the echoes of our drumbeats return, their rhythms overlap with new ones. We are building a new Creation. Check out John’s new book titled “The Divine Human”. I lived at the Findhorn Foundation from 1977 to 1984 and left there having married and with two young children. It was a wonderful experience. They are doing very excellent work still today. The Findhorn Foundation is a dynamic experiment where everyday life is guided by the inner voice of spirit, where we work in co-creation with the intelligence of nature and take inspired action towards our vision of a better world. We share our learning and way of life in experiential workshops, conferences and events that take place within a thriving community and ecovillage. The Foundation has two main sites. The Park, nestled amidst dunes and forest, bay and beach, is an ecovillage that is home to many of our staff and a larger community of people living with shared values. Cluny Hill is a stately Victorian former hotel, five miles away from The Park, which houses staff and welcomes participants in our workshops and events. Our retreat house on the island of Iona, and the satellite community on the neighbouring island of Erraid, also welcome participants for life-changing experiences on the wild, wind-swept west coast of Scotland. 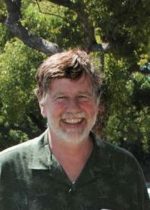 The Findhorn Foundation is an NGO associated with the United Nations Department of Public Information, holder of UN Habitat Best Practice designation and is co-founder of the Global Ecovillage Network and Holistic Centres Network. The Foundation is at the heart of a community of more than 500 people who every day support and live the vision of creating a better world by starting with themselves. Through more than 50 years of living and exploring together, three key themes have emerged as guiding principles for our work in the world. The vision that informs the Pachamama Alliance’s work is of a world that works for everyone: an environmentally sustainable, spiritually fulfilling, socially just human presence on this planet—a New Dream for humanity. 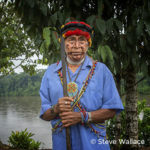 Pachamama Alliance, empowered by our partnership with indigenous people, is dedicated to bringing forth an environmentally sustainable, spiritually fulfilling, socially just human presence on this planet. Our unique contribution is to generate and engage people everywhere in transformational conversations and experiences consistent with this purpose. We weave together indigenous and modern worldviews such that human beings are in touch with their dignity and are ennobled by the magnificence, mystery, and opportunity of what is possible for humanity at this time. We are here to inspire and galvanize the human family to generate a critical mass of conscious commitment to a thriving, just and sustainable way of life on Earth. This is a commitment to transforming human systems and structures that separate us, and to transforming our relationships with ourselves, with one another, and with the natural world. If present trends continue, the probable future for life on Earth will be defined by periods of substantial social, environmental, and economic disruption, if not complete collapse. Humanity already possesses sufficient resources, technology, and know-how to reverse these trends. What is missing is the sense of urgency and the popular and political will to act. Without concentrated human intervention, certain tipping points will be reached that will make our present trajectory irreversible. The universe is friendly and the evolutionary Force that put the stars in motion is still moving through all of us and is a dynamic, self-organizing process whose grace and guidance we can trust. Human beings are by nature collaborative and cooperative and innately desire the success of the human species and all life. When barriers to our natural expression are eliminated (i.e. resignation, myths of separation and scarcity), we cooperate for the common, long-term good. Indigenous people are the source of a worldview and cosmology that can provide powerful guidance and teachings for achieving our vision—a thriving, just and sustainable world. One of the most effective ways to produce results is to empower other organizations through skillful alliances, and a principle of skillful alliances is that amazing things can be accomplished when people aren’t worrying about who’s getting credit. People’s actions are correlated with how they see the world—the story they tell themselves about the world. Transforming the way that people see and relate to the world and the possibilities they see for the future is a powerful way to effect social change. Consciously and unconsciously created systems of ongoing oppression and inequality exist in the world. The outcomes generated by those systems are directly in opposition to our vision of a thriving, just and sustainable world. We are accountable to—and stand in solidarity with—those whose access to material resources and free self-expression is limited by unjust systems of power and privilege. Jean Houston, Ph.D., scholar, philosopher and researcher in Human Capacities, is one of the foremost visionary thinkers and doers of our time. She is long regarded as one of the principal founders of the Human Potential Movement. Dr. Houston is noted for her ability to combine a deep knowledge of history, culture, new science, spirituality and human development into her teaching. She is known for her inter-disciplinary perspective delivered in inspirational and humorous keynote addresses. A prolific writer, Dr. Houston is the author of 26 books including “Jump Time”, “ A Passion for the Possible”, “Search for the Beloved”, “Life Force”, “The Possible Human”, “Public Like a Frog”, “A Mythic Life: Learning to Live Our Greater Story”, and “Manual of the Peacemaker”. As Advisor to UNICEF in human and cultural development, she has worked around the world helping to implement some of their extensive educational programs. 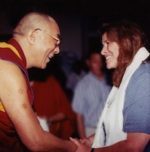 In September of 1999, she traveled to Dharamsala, India as a member of a group chosen to work with the Dalai Lama in a learning and advisory capacity. Dr. Houston has also served in an advisory capacity to President and Mrs. Clinton as well as assisting Mrs. Clinton in her writing of her book, “It Takes A Village: And Other Lessons Children Teach Us”. She has met with President and Mrs. Carter, and with leaders in many countries and cultures. As a high school student she worked closely with another First Lady of the United States, Eleanor Roosevelt, in developing strategies to introduce international awareness and United Nations work to young people. Since 2003, she has been working with the United Nations Development Program, training leaders in human and cultural development as well as in Social Artistry, a community-leadership training program that she developed. Together with other international agencies and companies, over the last 45 years, Dr. Houston has worked in over 100 countries. In 1965, along with her husband Dr. Robert Masters, Dr. Houston founded The Foundation for Mind Research. She is also the founder and principal teacher, since 1983, of the Mystery School, now called the Renaissance of Spirit, a school of human development, a program of cross-cultural, mythic and spiritual studies, dedicated to teaching history, philosophy, the New Physics, psychology, anthropology, and the many dimensions of human potential. In 2008, the Jean Houston Foundation was formed to teach Social Artistry in the United States and overseas. This training has been conducted in Albania, the Eastern Caribbean, Kenya, Zambia, Nepal, and the Philippines. A powerful and dynamic speaker, she holds conferences and seminars with social leaders, educational institutions and business organizations worldwide. 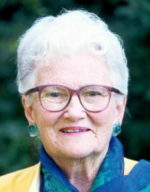 Jean Houston has worked intensively in 40 cultures helping to enhance and deepen their own uniqueness while they become part of the global community. Dr. Houston is considered one of the most evocative and entertaining speakers on aligning the human spirit, potential and action with the needs of the time. Her talks are legendary for their ability to inspire, inform and activate her audience. Her lifetime passion is to encourage the inherent possibilities, visions and capacities that lie within each person and/or group, and translate them into positive action. Jean Houston holds a B.A. from Barnard College, a Ph.D. in psychology from the Union Graduate School and a Ph.D. in religion from the Graduate Theological Foundation. She has also been the recipient of honorary doctorates. “Jean Houston’s mind should be considered a national treasure”, said Buckminster Fuller, a renowned American philosopher, thinker, visionary, inventor, architect, engineer, mathematician, poet and cosmologist. A life-long friend of Jean Houston, his observation is shared by the thousands of individuals, communities, organizations and nations that have been and continue to be inspired by her words. Dr. Houston is a past-President of the Association of Humanistic Psychology, and has lectured in philosophy, human development, psychology, and religion as well as cross-cultural studies at national and international colleges and universities. She has also taught as a professor and guest speaker at Columbia University, Hunter College, the New School for Social Research, Marymount College, the University of California at Santa Cruz and the University of British Columbia. Her work has been the core of a great many teaching-learning communities throughout many parts of the world. In 1984, she created a national not-for-profit organization, The Possible Society, to encourage the creation of new ways for people to work together to help solve societal problems. Giving seminars to large groups of citizens in 17 cities throughout North America, she established ongoing teaching-learning communities devoted to the enrichment of their citizens and the betterment of their cities. In 1985, Dr. Houston was awarded the Distinguished Leadership Award from the Association of Teachers Educators. In 1993, she received the Gardner Murphy Humanitarian Award for her work in psychology and the INTA Humanitarian of the Year award. In 1994, she received the Lifetime Outstanding Creative Achievement Award from the Creative Education Foundation. The following year, she was given the Keeper of the Lore Award for her studies in myth and culture. In 1997 she was made a Fellow of the World Business Academy. In 1999 she received that Pathfinder award from the Association of Humanistic Psychology. She was given the Millennium award in 2000. In 2011 she was named Spiritual Hero of the year by the Science of Mind magazine. Her PBS Special, A Passion for the Possible, has been widely shown. Her book drawn from the program was published by Harper San Francisco in August of 1997. Documentaries of Dr. Houston’s life and teachings will be published in 2012. Eckhart Tolle is best known as the author of the books “The Power of Now” and “A New Earth: Awakening to your Life’s Purpose”. Since then he has written many other books and he continues teaching to this day, making an effort to reach larger audiences through video and online methods. 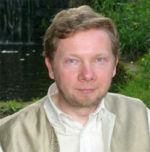 In 2011, Eckhart was listed by the Watkins Review as the most spiritually influential person in the world. Kim Eng is his partner in teaching and living. I was thrilled to discover Eckhart Tolle’s book, the Power of Now when it was quite new, back in the late 90s. I was living in Vermont at the time and I soon discovered that in those years, he was giving annual 5 day retreats at the Omega Institute in upstate New York. I attended the one in October of 2002. There were 400+ other people at the retreat, so a large room full of people. I guess I was particularly open or something, because his transmission during that time has deeply affected my life ever since. That was the turning point for me – the When I left at the end of the five days, I still had never met Eckhart personally, never had a conversation. I never even asked a question. But my life and psyche felt upside-down and inside-out but I also knew with great certainty that I had just received the precious spiritual gift that I had been seeking so long. In the following days I tried to put myself back together, to reconfigure some new sense of things, re-establish a new motivational structure (the old one had vanished), a sense of why I was doing things, how to relate to people and so on. So Eckhart Tolle was the One for me. I still have never spoken with him – he’s too big and popular to have any personal followup with people. But hey, his transmission worked in amazing ways, even in a crowd, and that’s what matters, isn’t it? Now I will just take the rest of my life to learn how to live this gift I have been given. What a liberation to realize that the “voice in my head” is not who I am. Who am I then? The one who sees that. The Power of Now: A Guide to Spiritual Enlightenment was written in 1997. A New Earth: Awakening to Your Life’s Purpose in 2008. Both were amazingly and wonderfully well received, spending many years on the best-sellers lists. We Are All One. Let’s Live That Way. Awakening to Oneness is more than an intellectual understanding. 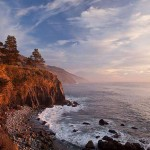 Immerse yourself in our inspirational programs and fully embody your connection with all of Life and All of Creation. Clearly, the time to act is now. We face unprecedented challenges in all spheres of life. Together, we are powerful beyond measure. Join with us as we embody Oneness through Sacred Activism. We all need support on our journey in Oneness. 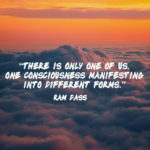 Connect with others committed to awakening and living in Oneness and advancing a compassionate world that works for all. 1. That the message “We Are All One, interrelated, interconnected and interdependent, with God/Life/One-another”, is the one spiritual message that the world has been waiting for to bring about loving and sustainable answers to humanity’s challenges. 2. That the world does not have to be the way it is – and that individual people can change it, using the power of spiritual citizenship. 3. 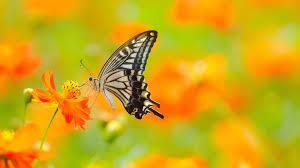 That humanity is good and has unlimited potential, and that social transformation starts with personal transformation. I therefore recognize the importance of connecting with my Divine Essence and inner wisdom throughout my life’s journey; allowing the finest and the highest levels of human potential to flourish for the benefit of all. 4. That my aspirations support spiritual principles, global ethics, and universal values such as respect, justice, peace, dignity, freedom, responsibility and cooperation, that underlie this declaration. 5. That human beings need each other to survive on this planet. I recognize that we are all in this together and that community flourishes as we learn about each other and revel in the wonder and beauty of our diversities. I declare that I am playing my part to help to bring about a culture in which we, the peoples of the world, can address our common global concerns in an holistic, positive and transforming way and live together in peace with one another. 6. That Oneness contains All of life – also the parts that we regard as the “other”. I realize that wholeness and togetherness can only be experienced through the recognition of the uniqueness, beauty and purpose of all aspects of life, and that this recognition starts with my Self. 7. That I am part of the emerging consciousness that promotes a spirit of openness, enquiry, connection and relationship with myself and the entire universe, and who continues to recognize the wonder, beauty and mystery of it all. 8. I support Global Oneness Day that has been established for all of humanity to come together each year as one human family, to discuss, celebrate and experience Oneness with the Divine, each other and all of life. 9. That the time for change is now.